I attended my first opera yesterday, at the University of Houston. 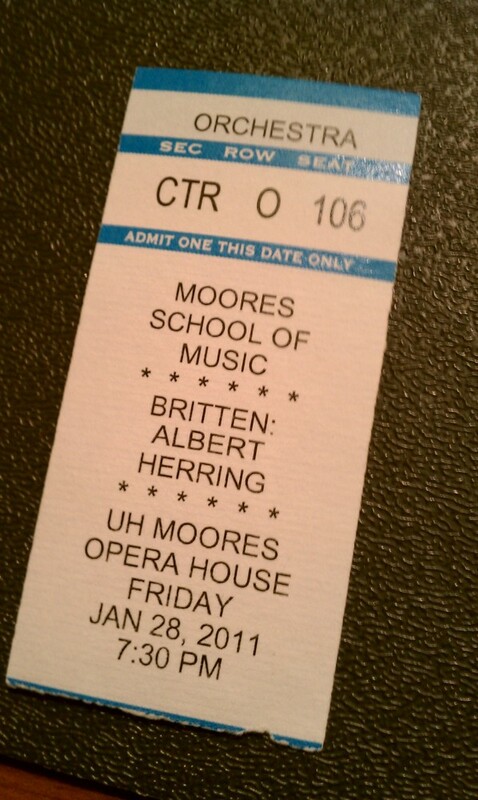 My brother-in-law played the lead in "Albert Herring" as part of his master's courses. Fortunately, it was an English opera, and it also had English subtitles, so keeping up with the plot was fairly easy :-).